The Federation holds two main events each year, the Annual General Meeting and the Festival. This usually takes place on a Saturday in April, May or June and is hosted by a different Affiliated Association each year (see history page for list of past meetings). It is usually confined to a day, starting with coffee and a tour to see the Cathedral, Church or College hosting the event. The meeting follows a sit down lunch and the day usually ends with delegates attending evensong which is either preceded or followed by a cup of tea. Although primarily a business day, giving member Associations the chance to send a delegate and have an input into the running of the federation, it is also a social occasion where friends old and new catch up. Like the AGM, this is held in a different venue each year, hosted by a member Association. It is a weekend event, starting on Friday afternoon and ending Sunday, and is a chance for Old Choristers from all over the country, and indeed the world, to meet up and share friendship, good music and good hospitality, usually in stunning surroundings. Often an Association hosts a festival as part of a bigger celebration. This could be a major church event such as Canterbury, the spiritual home of the Anglican church hosting the Millennium festival in 2000, a milestone in their own Association such as Lincoln celebrating their Associations Centenary in 2006 or their Cathedral having a special celebration such as the 900th Anniversary of the Granting of the Charter which Carlisle hope to celebrate by hosting the Festival in 2033. We are always looking for Member Associations to host either an AGM or Festival. If your Association is interested, please contact the Federation’s Honorary Secretary (see contacts page for details) A document giving full details of the organisation required for each event is available to download from the "documents" page. The Federation organised its first tour, looking at the Cathedrals of Paris and the Ile de France, in April 1996. They have now become an important part of the social activities of the Federation, happening every few years since. Up until 2007 they have been to destinations in northern Europe, including Belgium and the Rhine in 1999, the Châteaux of the Loire in 2001, Portugal in 2003 and Normandy in 2005. 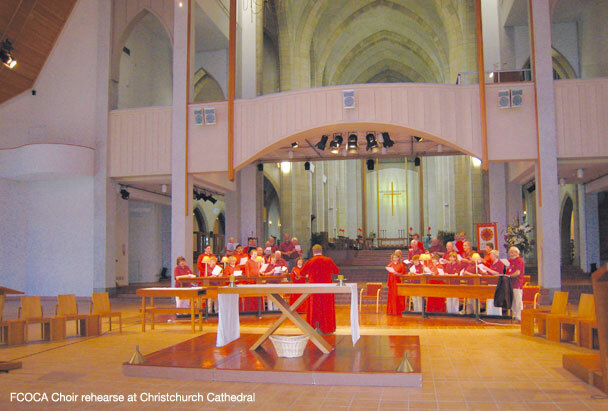 In 2007, the sights were set much further a field, when the Association of Christ Church New Zealand invited the Federation to attend a festival to mark the Centenary of the founding of the Diocese there. 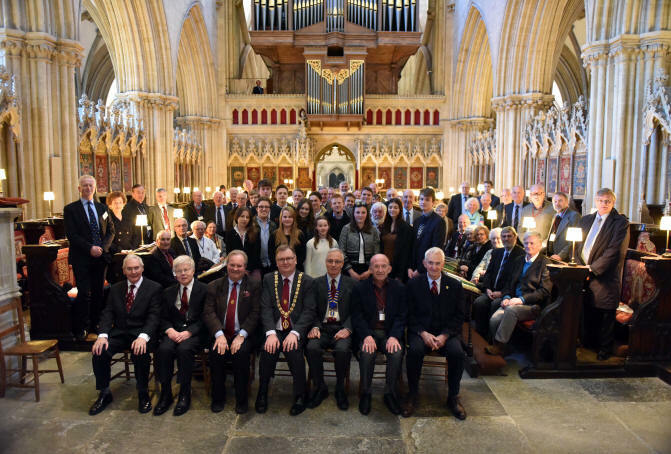 Just over 40 Old Choristers and their wives ventured across to the other side of the world for a month in February, culminating in a mini Festival over the last weekend. The 2008 tour marked a new venture by staying in the UK. We based ourselves in York and visiting the ‘Gems of Yorkshire’, looking at the varied parts of the largest county in England over the first week in September. A tour of Ireland took place in the Spring of 2013. Please click here for a report.